New Pokemon Center merch announced + Charizard edition 3DS XL!!! Trying to clear some room for eevee's and for the other items coming in that I need to go through/sell XD I have a problem guys! I hope to do a collection update soon. So much stuff @____@ Do you guys prefer a video or a mess of pictures? Sales ! Sales ! And more slaes ! In a desperate need for money here I am again to get rid of some stuff! Magnetic Pokeball GB - I have a customs charge letter that I assume is from this GB. I will keep you updated. I'm not at home to find out until tomorrow, and there's nothing I can do about it over the weekend. I have given up waiting for Pokebox participants to pay for shipping - after 2 weeks of no reply to the final PM I sent to everyone. 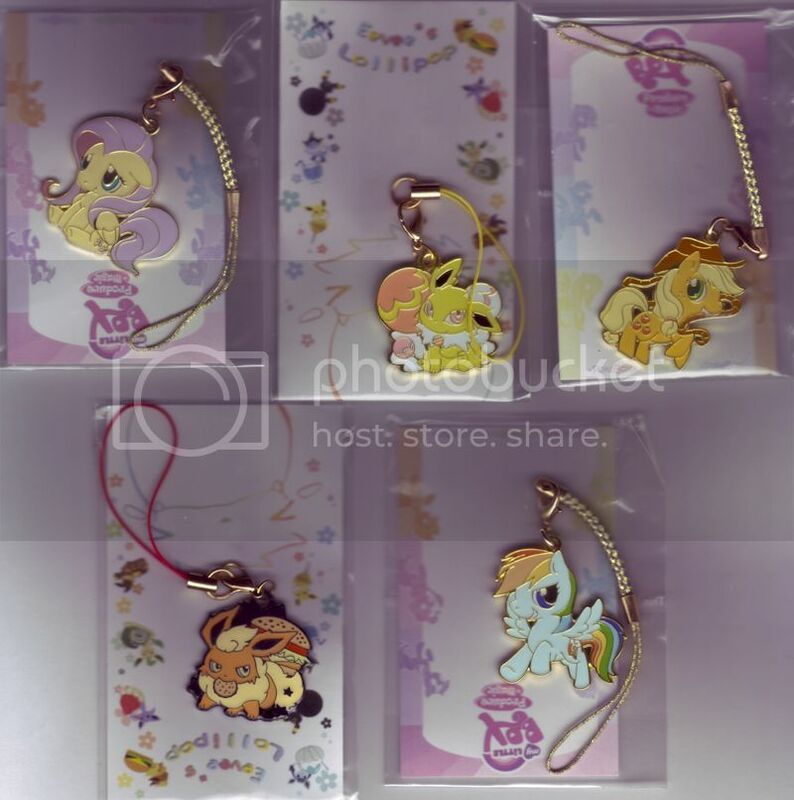 Consequently there are some Pokebox out of production charms and one Pokebox Eeveelution fan for sale. I will use this sale money to refund the participants. Some of these are from my own order too, as I am downsizing. 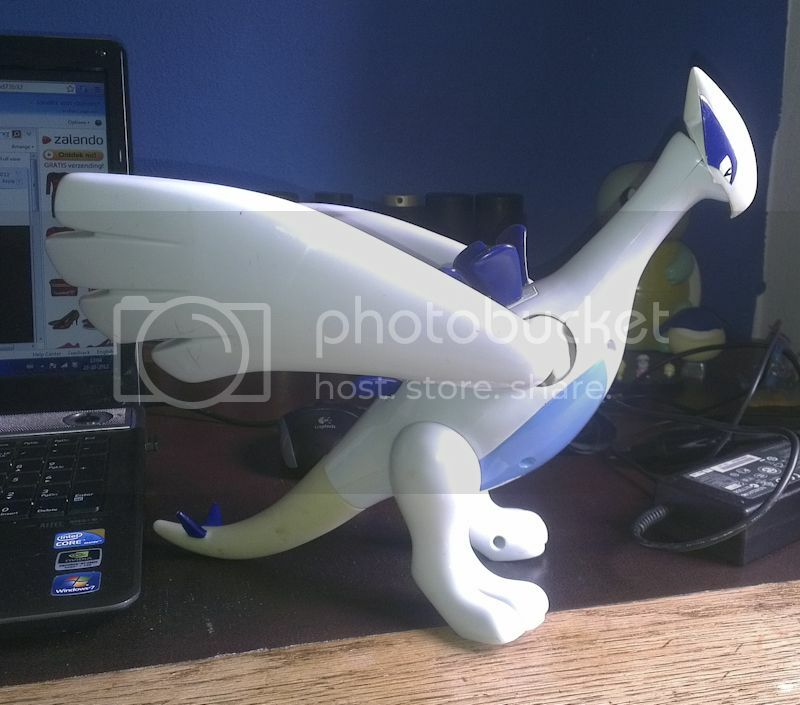 I asked Sanderfowl for some more photographs of the Lugia and vurry blurry plush. 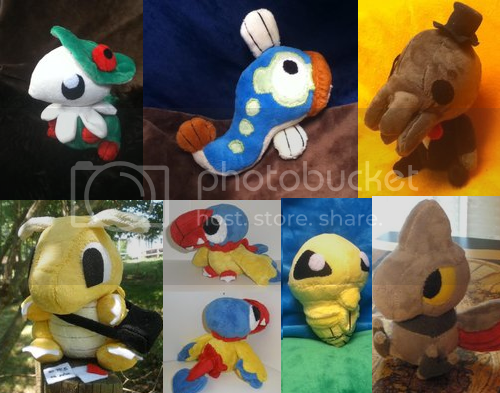 They very kindly took more, so I have updated the photographs of some of the plush. Please click the thumbnails to go and look in better detail. There is also now an end timer (Mon 29th 8pm GMT)! Mod entirelycliched commented that, "There has been a bit of concern that it's one of the "mirage" plush, which (both fortunately and unfortunately!) makes it exceptionally rare and possibly one of a kind. If that is the case, a claim would have to be significantly higher to reflect the value." I'd like to reassure whoever the concerned party is/are, that it is not a mirage plush. A-lot of Metal Figures GA Reminder! Reminder!! 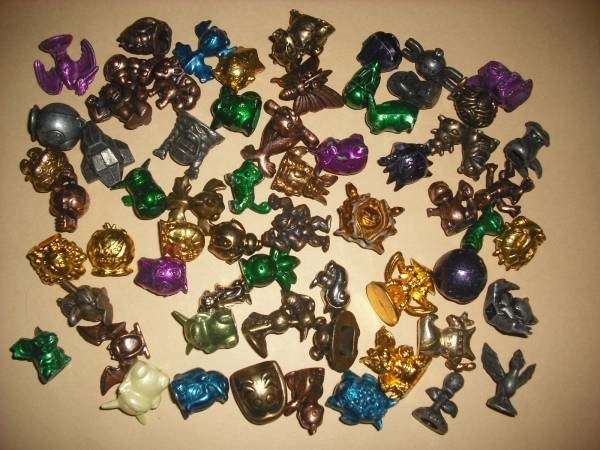 A-lot of Metal Figures GA ends tonight at MIDNIGHT Hawaii time!!! Thats in about 15 hours. There are still a little less than half of the figures without bids. Check it out and get those bids in. :) Click the photo or >here<. XD sorry it seems like i have been posting everyday this week, your probably sick of me. To make this less boring, here is a quick question. 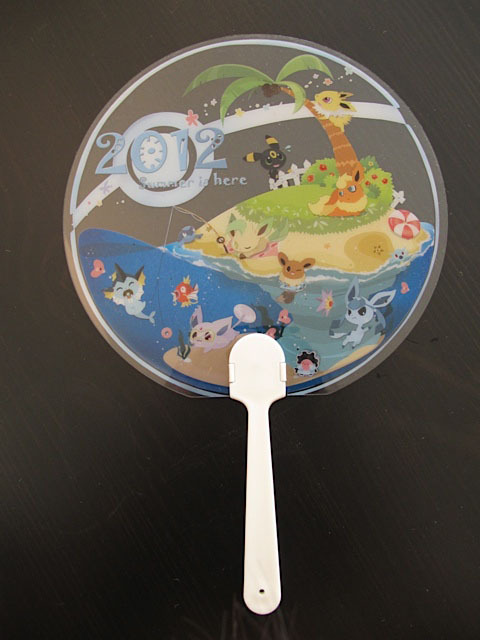 What Pokemon merchandise are you after that you consider the Holy grail? If you have found and received that grail, is there an awesome story to go with it? 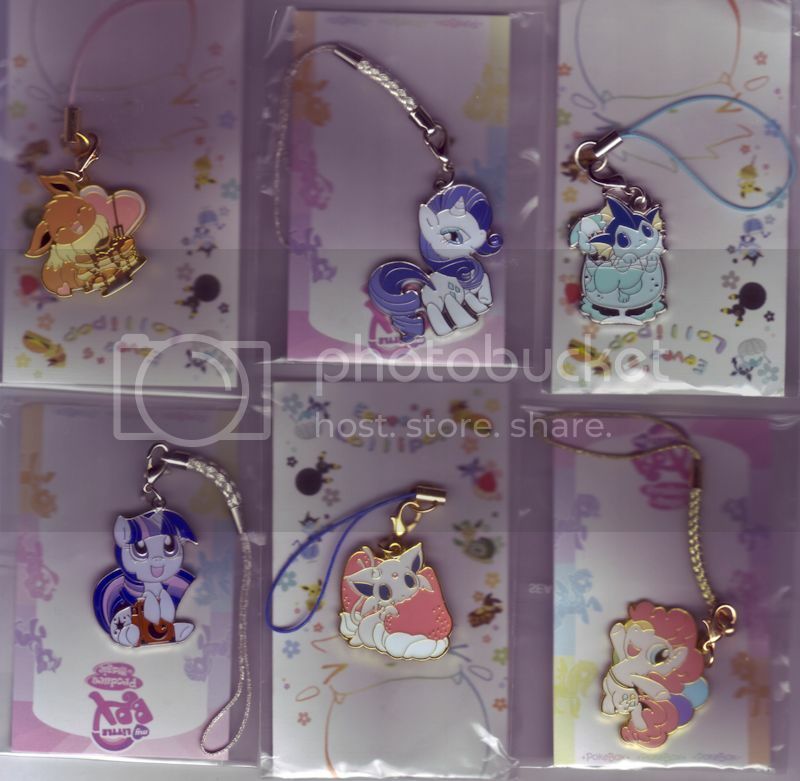 We won the Eeveelution Round Charm GA (with a nice discount) and the charms are now in hand, so payments are due! I'm so happy atm; my exams are over, first snow came eyesterday (it's pretty early for it even here in Finland) and I have nice plans for this evening and for tomorrow :] I also was planning to watch some old Pokemon episodes 'cause I have a few days before my studying continues. I think I need to boarden my horizons, I have mainly watched those episodes with first gen Pokemons, we have almost all of them on VHS at my parents place x) But now I decided it's time for second generation episodes!! I was wondering what episode/episodes you like the most and why? Is there some episodes you do not like? My favourites are Mystery at the Lighthouse - so thrilling and scary when I was little x), the Ghost of Maiden's Peak - mysterious and cool o_O, Bye Bye Butterfree - it's just so moving and beautiful, and the ones that Vulpix and Ponyta show up for the first time (don't remember the names of the episodes) - because they are one of my favourite Pokemons! HUGE BLOW OUT SALE! And an update! I need this stuff GONE! 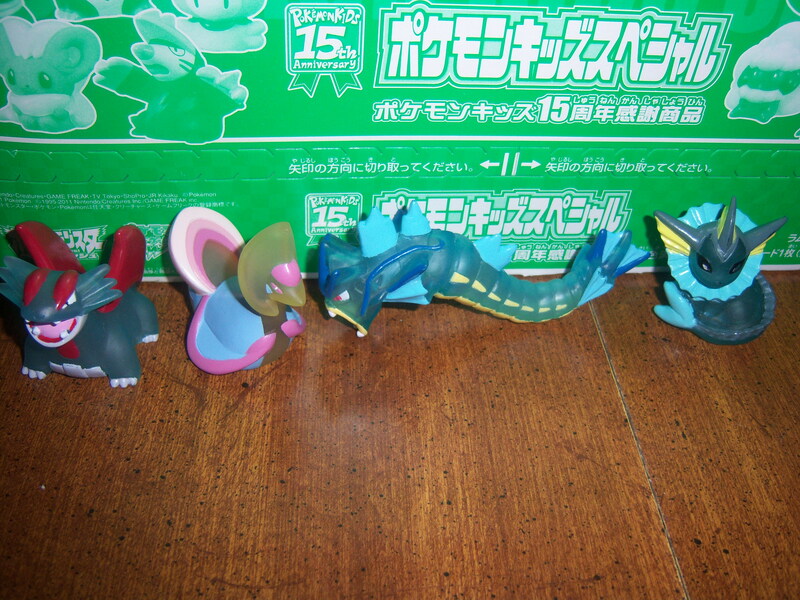 The huge Sales Pic, a ton of plush, figurs, flats, and random! They are in order... The diamond the glass case the left case then the right case is other. Goldeen - mewtwo spaces are left for the ones i'm missing do you have them?! And the few badges I have, i want them all! 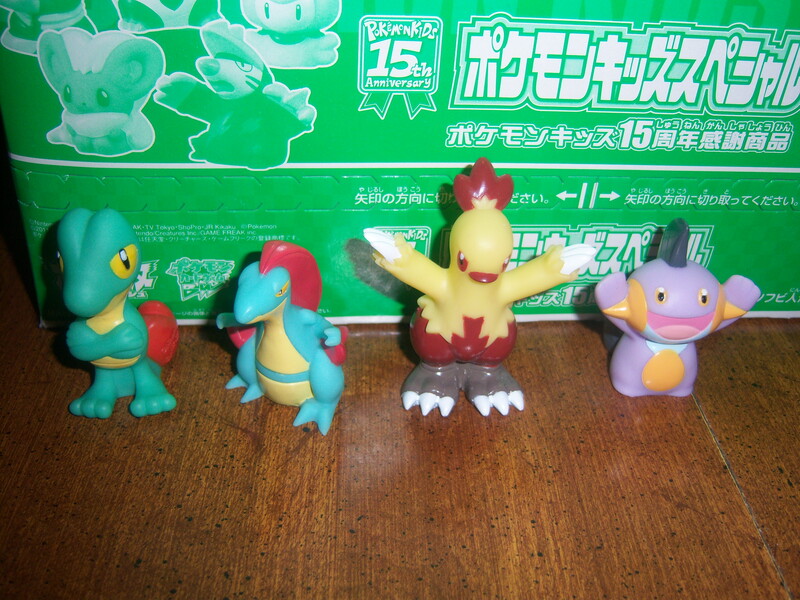 bublasaur - golduck and my main ppl collection <3 brock! We have 1 cat so there may be a little fur on plushies but she doesn’t mess with our stuff. I ship from the US and will ship anywhere, though out of country will cost more! Prices are in USD and do not include shipping unless otherwise indicated. Payment is expected within 24 hours, unless otherwise agreed upon. Or I will leave negative feedback! I will only hold for 24 hours, do not abuse this or I will take all holding away! Haggling is accepted, but I reserve the right to refuse any offer. I am not responsible for anything that happens once the item/s has been shipped. If this is a problem then please ask for me to add tracking/insurance, though it is your responsibility to pay for them. I reserve the right to not sell to anyone I don’t deem fit. If you say you are COMMITTED its final. If you have any more questions please ask in appropriate thread, and/or inbox me. Everything is priced to sell, or you offer *reasonably* on an item. I do reserve the right to say no to ANY OFFER. The more you buy, the cheaper you can offer! 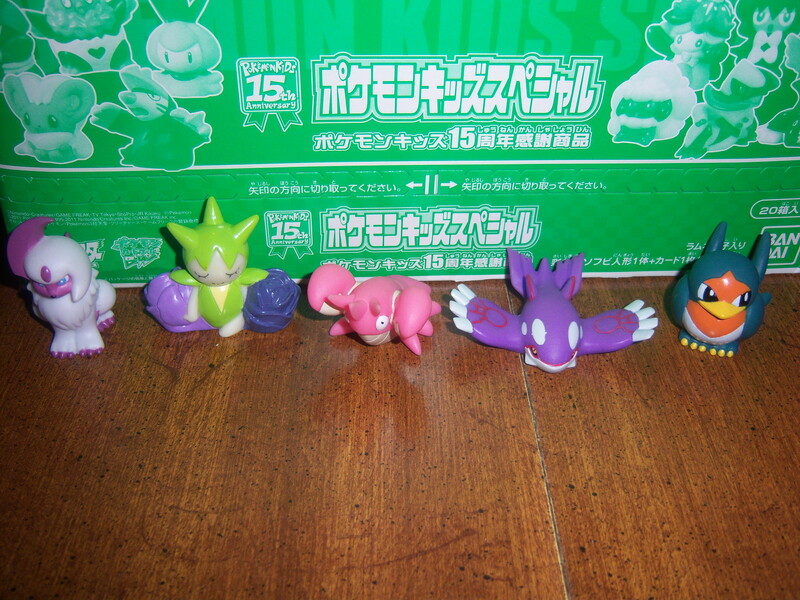 and a bunch of mcdonalds figurs and cards, a lot of pignite figures, if your looking for specific ask me! So many things :D I just cant list them, if you have a question please ask, I'm on all day today, :D yay for babysitters! Thanks for looking! Hello everyone! Man how I have been super busy with school -o-'''!!!! I haven't been collecting at all D:! So I am here to sell some more items and also willing to trade but not for pokemon oh no, for wolf or fox items :3 Yes I am obsessed with wolves,foxes,coyotes,exc. It's funny because I <3 eevee's and there the fox type pkm <3 Ok so onward to sales! 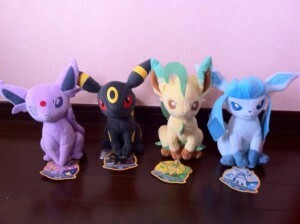 Also I'm looking for a leafeon pokedoll because my friends birthday is coming up! I know they just got released in the US and are at the kiosks (I think). So I'm looking for one for maybe 22$ shipped :). banpresto 2013 feb-apr goods news! 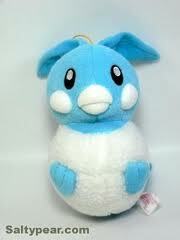 Not very 'new' news, but better quality pictures of the Water starter standard sized plush that come out in February. Everybody's favourite eel gets its MPC release in February! A 'Greatest Hits Selection' follows in March, which includes Hydreigon (again), Zweilous, Pikachu, Lilligant, Litwick and Galvantula. Finally, although I have no images to share for the moment, it has been announced that an electric-themed ("denki" =p) plush set will be released in April, which features Plusle, Minun, Pichu, Ampharos and Elektross. Dead excited about what this means - will they release other similar element-themed sets and feature lesser-merchandised Pokemon (especially those from the R&S era)? Also, are the poses (i.e. 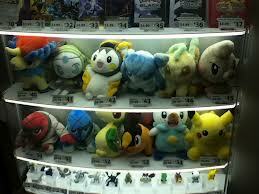 for Ampharos) similar as previous Banpresto plush? Only time will tell! That's all from me today! Have a good weekend ahead! Hi, guys. Whoo just finished my darn Bio-mechanics test. 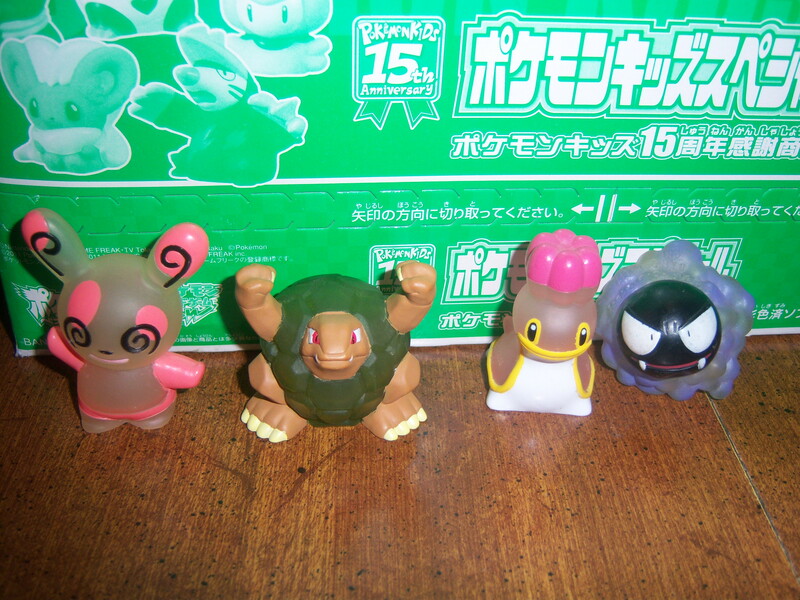 I have found this item on y!j a couple of days ago, and I am wondering if it could be made into a group auction? I am not begging for the group auction anyway. I am hunting for an Espeon stamp, so I am putting every effort to pull out one, even if it is unidentifiable. So is it considered to be OK to GA something that is unclear? edit: BTW, does anyone have a list of retsuden stamps DP10, the right box above? I think the pokemoncollectorwiki does not have a list of that. Thanks a lot. Second is I have seen people talking about the deputy service Fromjapan. Did anyone really take a bite of that? Does it work smoothly? Are they still promote the free commission? I am just curious 'cause it would be brilliant to have zero commission and low shipping cost bidding on y!j items. 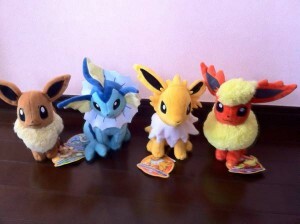 edit2: Quick shots of new eeveelu plushies. Have fun on Halloweekends! 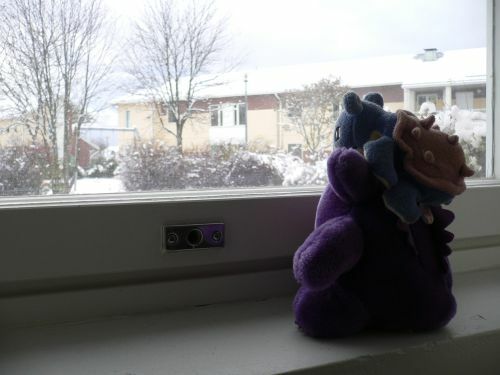 Hello, I'm Glacidea/GlacideaDay/Lonepichu and I'm moving, starting a new chapter in my life. As such, I want to start a new chapter with plushing and push myself to be as professional as I possibly can! This means hand-sewn details, patterns that are as few pieces as posible, and getting the best product to you as possible. I really want to push myself to do better and make a good portfolio as well as making the best plush possible! 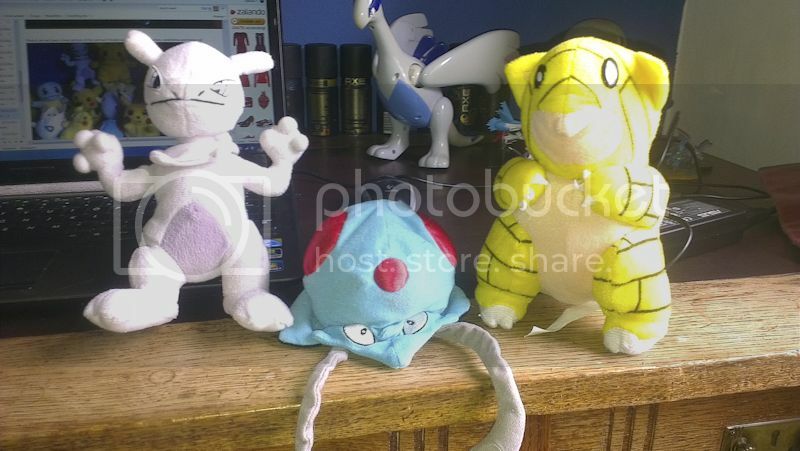 So I'm taking slots for pokedoll/ufo prize size plush, about 5/6 inches. They will all be done by the end of November, so if you want a christmas gift, this is a good opportunity. This way I can improve myself and experiment with making patterns as professionally as I can and start a new chapter in my life and you get a little, cute addition to your collection or whatever you may want. each plush is only 100.00 each. shipping won't be more than 7 in the US and 14 outside. This is a one time only offer. I'll be taking these, working on them, and won't open again until the end of November or mid-December and they will be my normal price of 150.00 each starting. Get this offer while it's hot! Hey guys, I just wanted to take a minute to remind everyone that my kid figure auctions end tomorrow, October 27th, at 5pm EST. I have both shiny and clear kids for auction :). Special Edition Charizard 3DS XL Announced! "The Official Japanese Pokémon Site has announced that Japanese Pokémon Centers will be selling a limited number of Charizard themed 3DS XL consoles, with a Japan-wide raffle to determine who will have the chance to purchase them. The console will retail for 18,900円. The raffle to purchase the console will begin on November 3rd, with prospective customers being able to enter the raffle in-person at Pokémon Center stores across Japan, or via mail. The console itself will go on sale on the 15th of December, and will be withdrawn from sale on the 14th of January, 2013. At this stage, there is no information on exactly how limited this release will be, or if we can expect this console to eventually get an international release. The previously released Pikachu special edition 3DS XL console, which sold out on its first day in Japan, has recently been announced as having a European release later this year, though no information has been given at this stage on any possible American release." 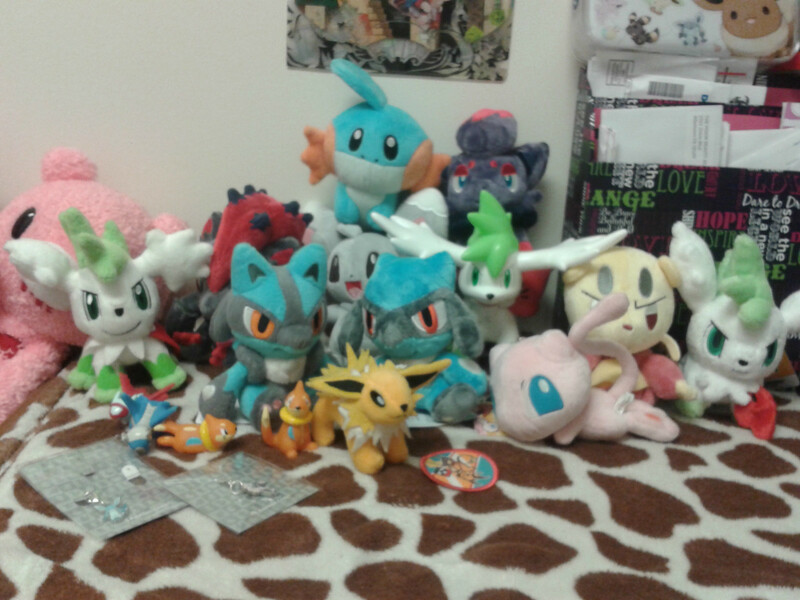 Haven't been here in a while, and a few days ago I had the sudden urge to buy MOAR Pokemon plush. Erms. Part removed due to rules. D: Sorry!